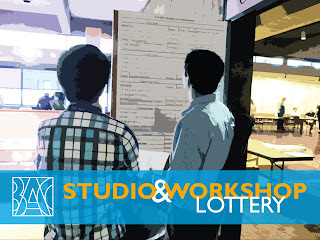 Attending Studio Lottery is required for students taking Segment II studios (Core studios) or design workshops. -Lottery results will be available online the next day, through the Student Development Blog. We will have a quick turnaround between the lottery and registration this year – so Please check the blog first before enrolling in other classes!